Starting from Platis Gialos we head over Santorini Island. On our way we pass by the island of Paros, a place of considerable history and tradition. Paros Island figures among the best summer destinations in the Cycladic Islands and combines in a unique and enviable way modern infrastructure with traditional architecture and authentic spirit; is amongst the preferred holiday’s destination in Greece, attracting each year thousands of visitors and famous personalities. Our next destination will be the island of Ios. Ios is one of destinations in Greece for young people and groups of friends looking for a party holiday experience, but also for young at heart visitors or couples looking for a beautiful and romantic destination. Hora of Ios has been declared as a traditional settlement and it’s a typical Cycladic picturesque village. Kolimbithres / Paros : Kolimbithres is an exotic sandy beach with crystal waters and bizarre rocks creating small “swimming pools”. Located in Naoussa’s bay, Kolimbithres is definitely worth of visit. Magganari Beach / Ios : Magganari is definitely one of the most beautiful beaches of the Aegean. Three quiet coves form an exotic lagoon. Protected by waves and wind, these coves are ideal for relaxation and valuable quiet time, away from the bustling crowds. 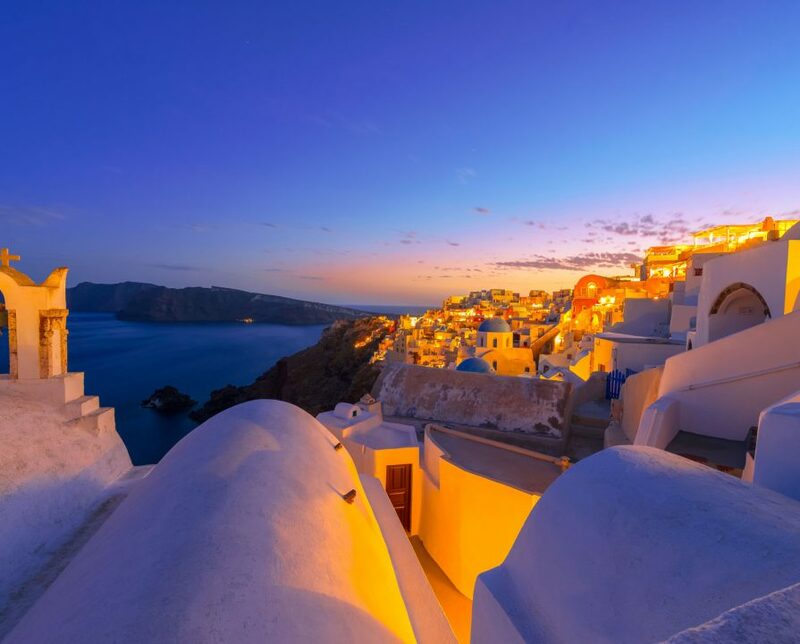 Our final destination is the island of Santorini, magically curved around the imposing Caldera. Santorini Island is one of the most fascinating, mysterious and awesome destinations in the world.